In one of its biggest releases in recent times, WhatsApp, which is India’s most popular messaging platform has rolled out video calling feature for all users. Finally, today WhatsApp has officially launched video calling for its over 1 billion users worldwide on iOS, Android and Windows Phone platforms. While the feature was recently found enabled in the beta version, it could have been a clear indication that WhatsApp was soon going to release the official version for its users also. 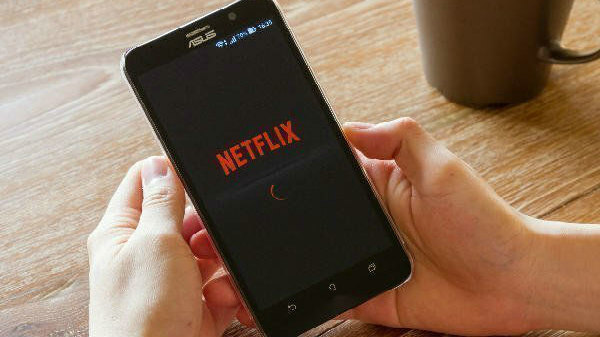 Well, more precisely the tests seem to have gone right during the beta stage and now WhatsApp can compete with the likes of Apple's FaceTime, Microsoft-owned Skype, and Google's newly launched Duoamong among others for a share of the video calling market. So you can make a video call in WhatsApp if you are either running the latest WhatsApp beta or if the video calling feature is available to you after the launch. #1 Launch WhatsApp on your mobile device. #2 Go to the Contacts tab. #3 Find and tap the contact you want to initiate a WhatsApp video call with. That's it! 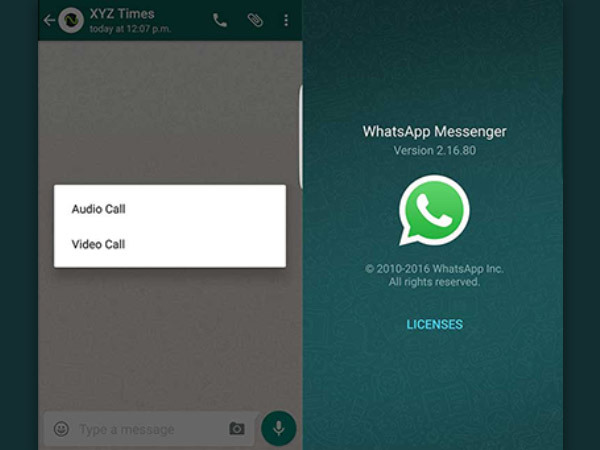 You can now make your first WhatsApp video call. 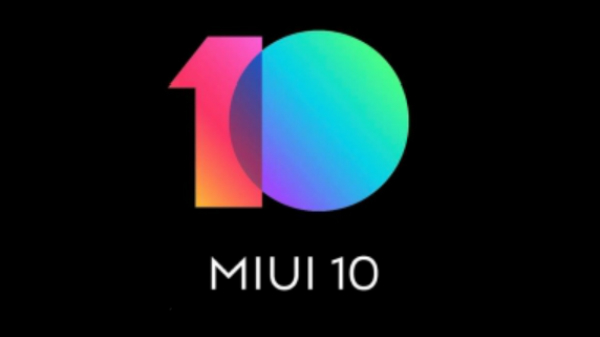 Additionally, what's more about the video calling feature is that, during the call itself, users can switch between the forward-facing and rear camera, mute the call or press the red button to hang up. 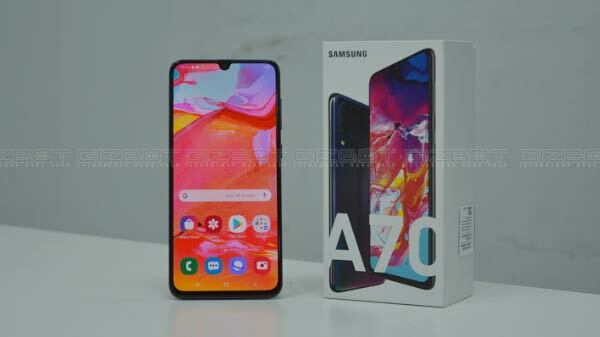 The user interface varies slightly on Android and iPhone in terms of where the picture-in-picture video feed is displayed as well as the buttons' size, lineup and placement. WhatsApp already supports a number of standard features for communications apps, including group texting and voice calling. However, the company has pointed out that video calling was one of its top feature requests from the users. 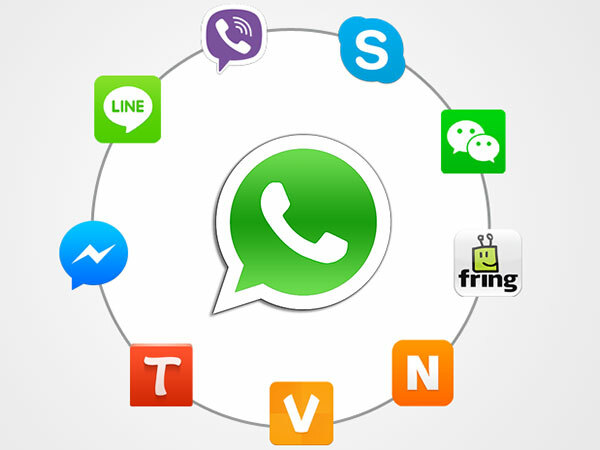 Even though WhatsApp has been late to lauch this feature compared to its competitors, it still has a massive user base and the addition of the feature could help them from fleeing to other messaging and calling platforms. 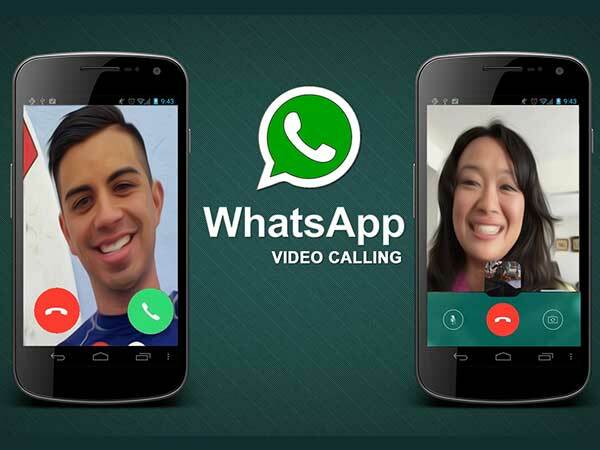 Interestingly, users may not be able to immediately see the video calling feature in WhatsApp. It might arrive in the days to come as it will be reaching the entire WhatsApp user base.